Freda Gocian started out as a Professional ICU nurse in 1985 and had a keen interest in fitness, completing several Ironman triathlons in early 2000’s She has always loved horses and has a traditional equine background, competing in Eventing (all ribbons can be attributed to forgiving horses in her life), but always felt there must be more to horses than catching and saddling any way you can, kick to go and pull to turn and stop. While in Saudi Arabia as an expat she searched for an answer on WHO horses are and not just what they are. 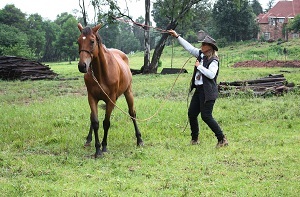 She stumbled on the Parelli Natural Horsemanship program that is based on using Equine Psychology that works with the horse’s nature rather than against it, and has been a member and dedicated student since 2006. 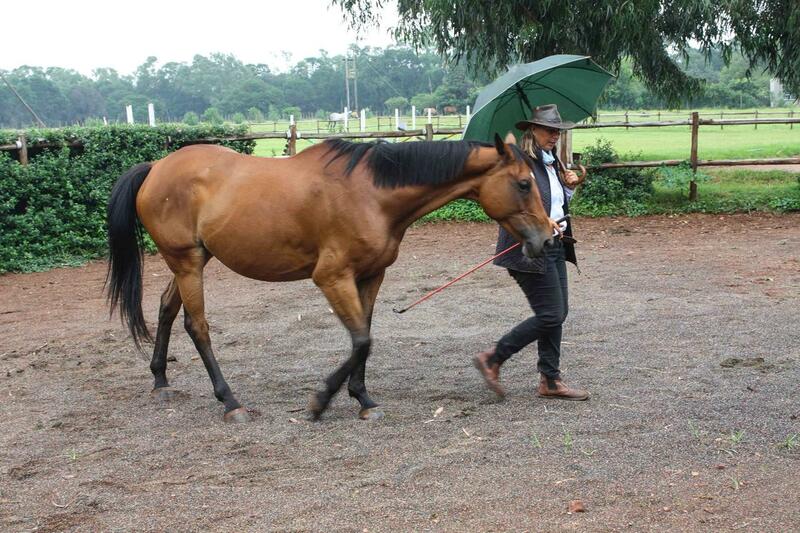 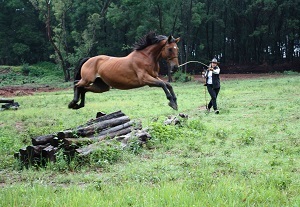 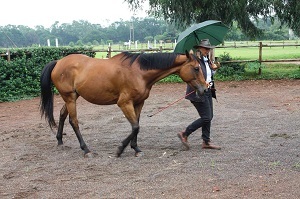 In 2009 she had the opportunity to put theory to practice when she bought a very challenging Arabian stallion that had no future in Humanville. Together they progressed through the Levels (1-4) and Savvy’s (Online, Liberty, Freestyle and Finesse) She is a testament to the highly successful Parelli home study program that provides a clear pathway to Success. 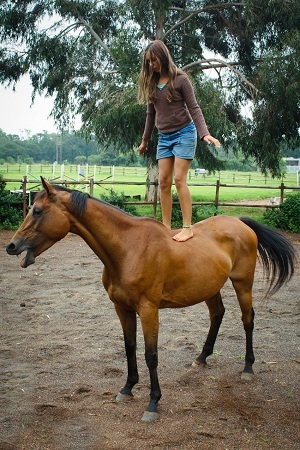 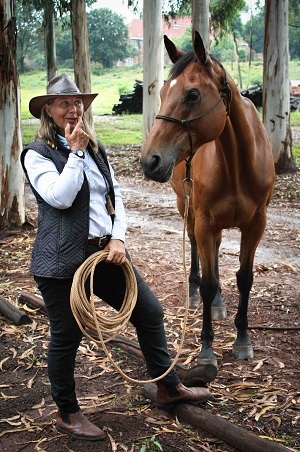 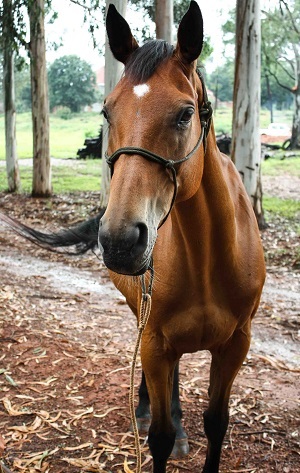 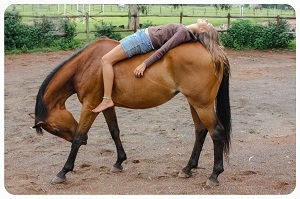 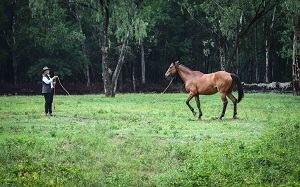 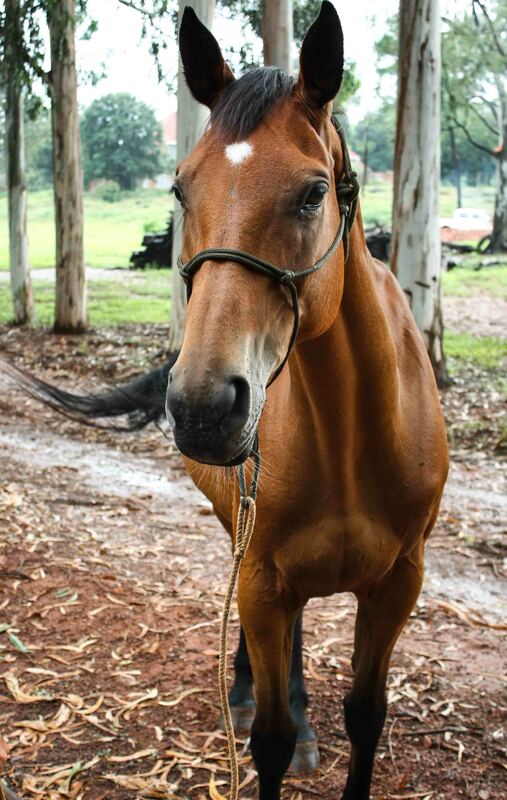 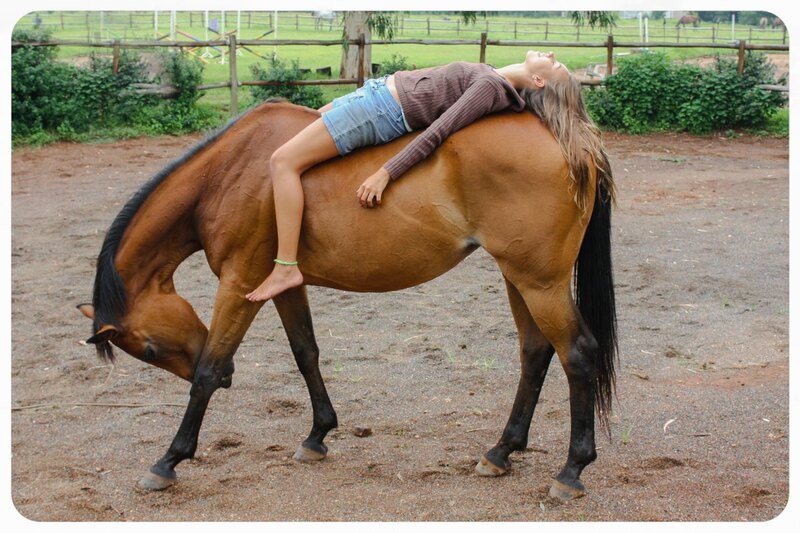 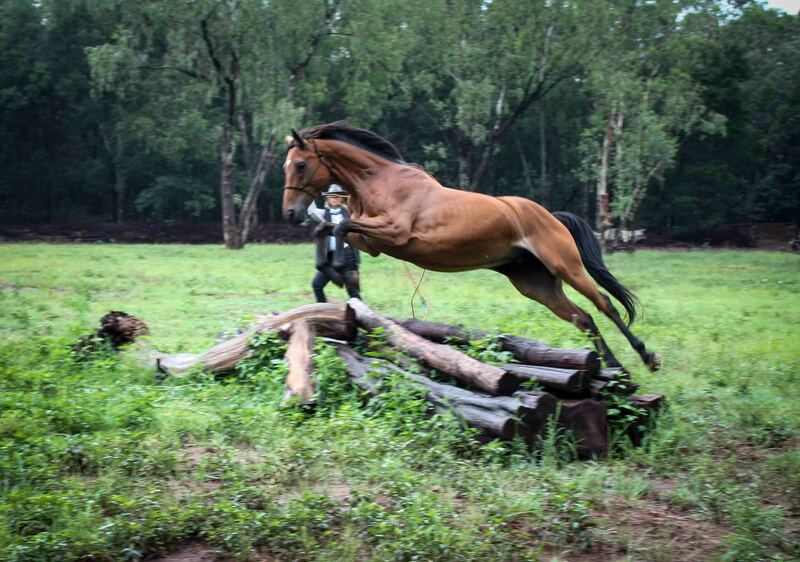 In 2011 she had the opportunity to fast forward her skills and learning by attending a 4 week Fast Track course on the Florida Campus at which her aptitude for teaching emerged and her senior instructor Ryan Rose encouraged to pursue a professional career in becoming a Horse Behavioral Specialist. 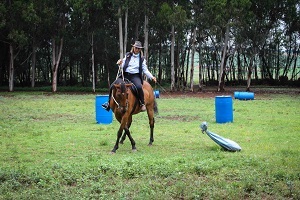 In 2012 she studied in England for her 1* Parelli Instructorship and in her quest for never-ending self improvement went to Colorado Campus, USA in 2013 for an extended period to complete her Externship directly with Parelli and achieved her 2* Instructor. 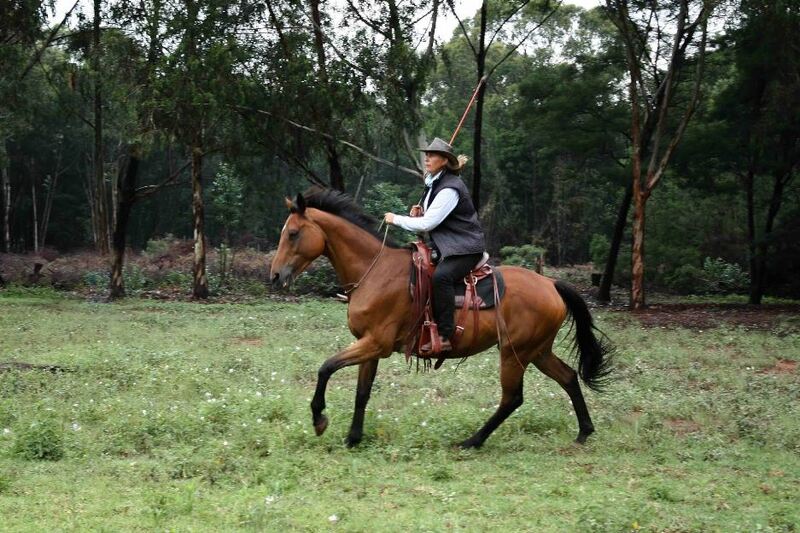 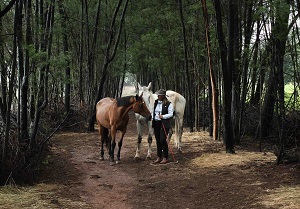 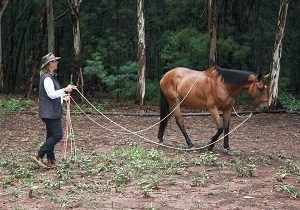 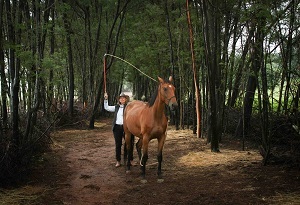 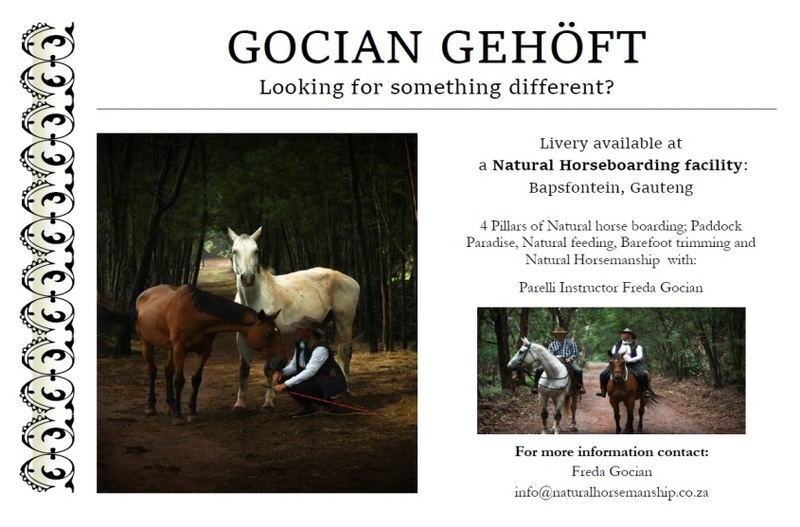 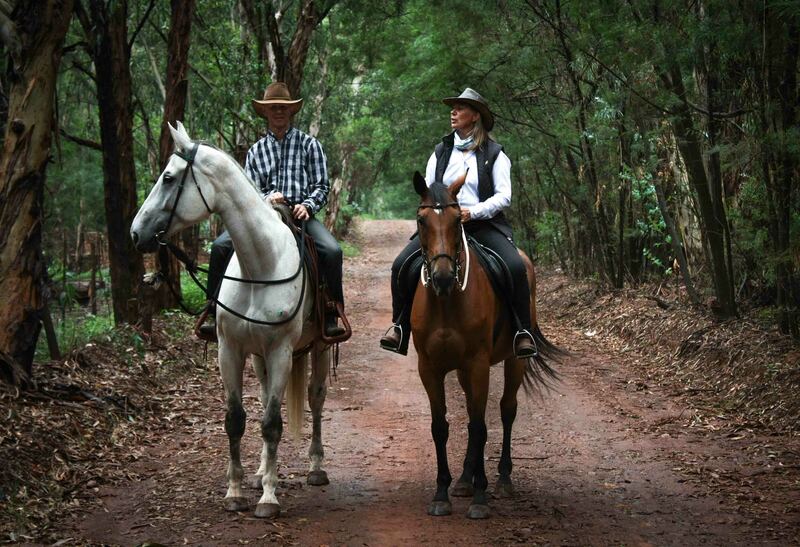 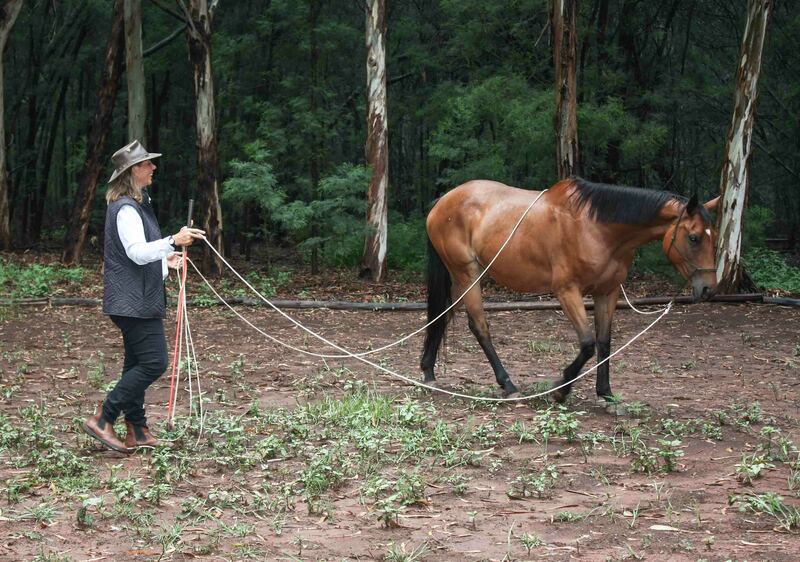 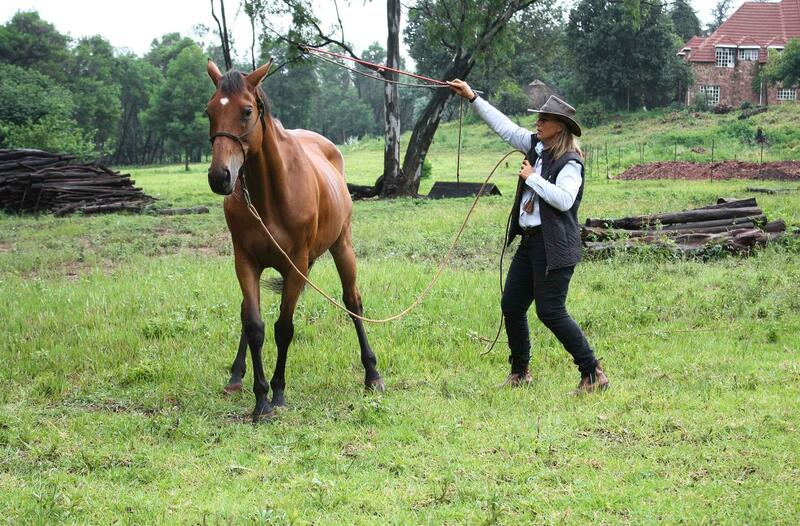 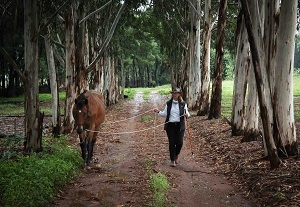 She is the first Licensed Parelli Instructor in ZA and currently the only 2 star Licensed Parelli Professional. 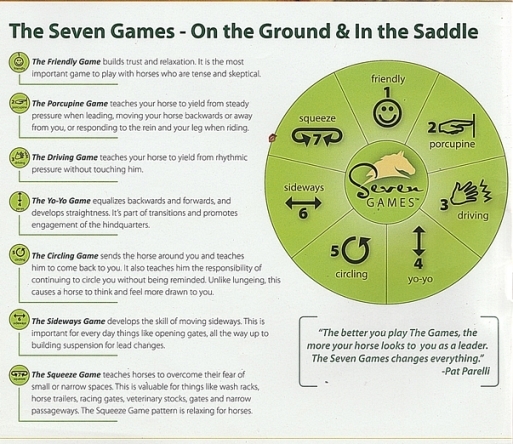 She has achieved Level 4 on all 4 Savvy’s on several horses. 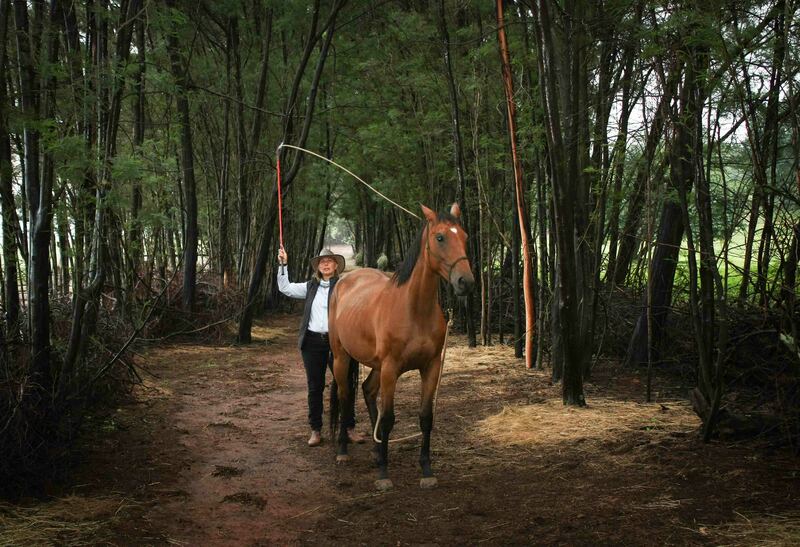 I promise to put my relationship with you, my student, first. 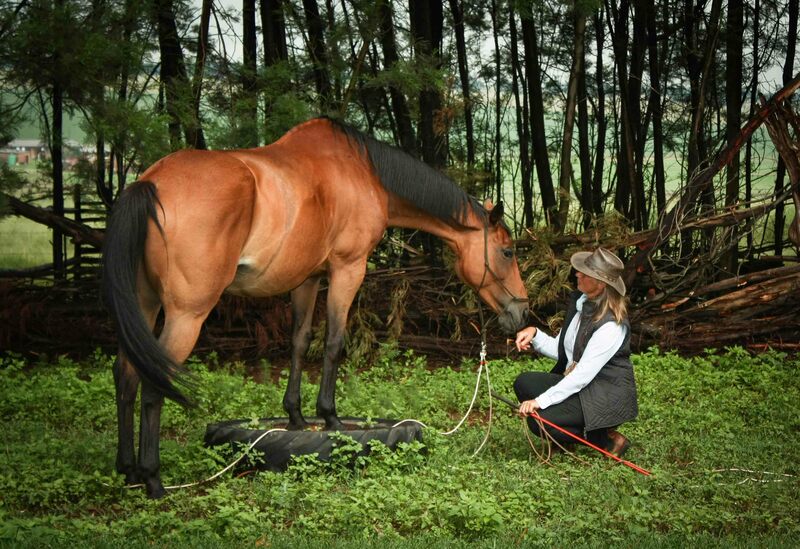 And I promise to help you put your relationship with your horse first. 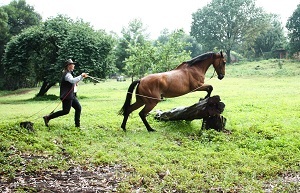 Rather than perfecting the task we will care more about confidence, trust, motivation and willingness as true horseman do. 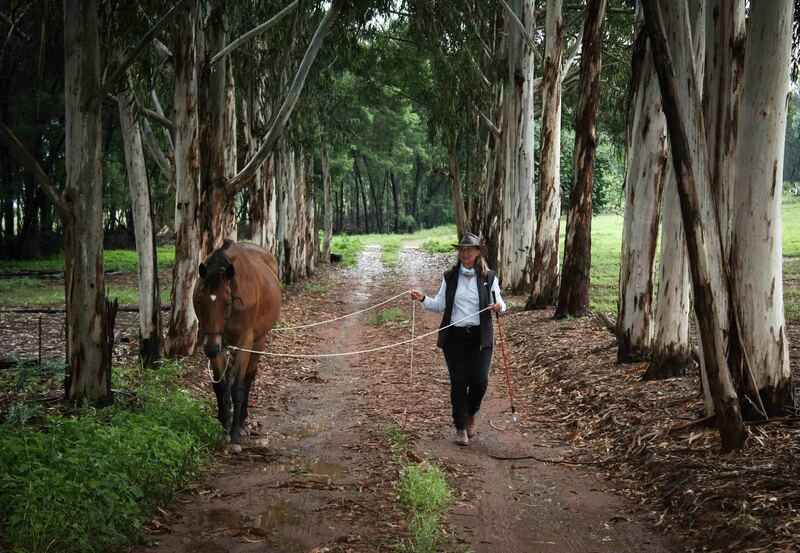 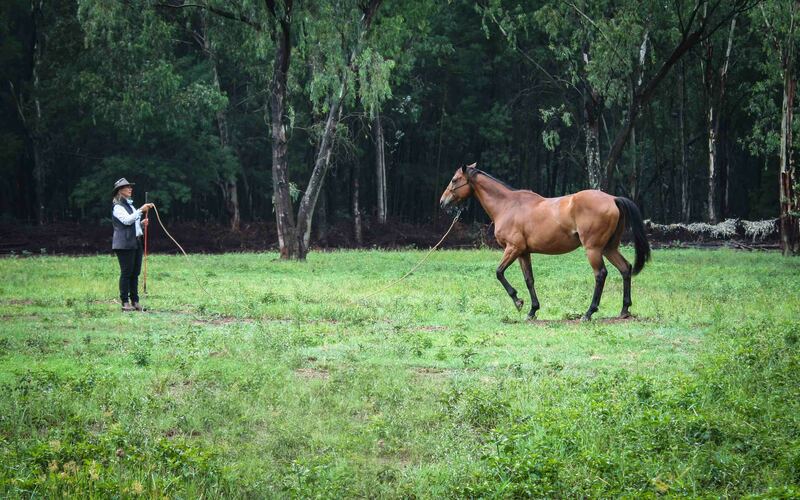 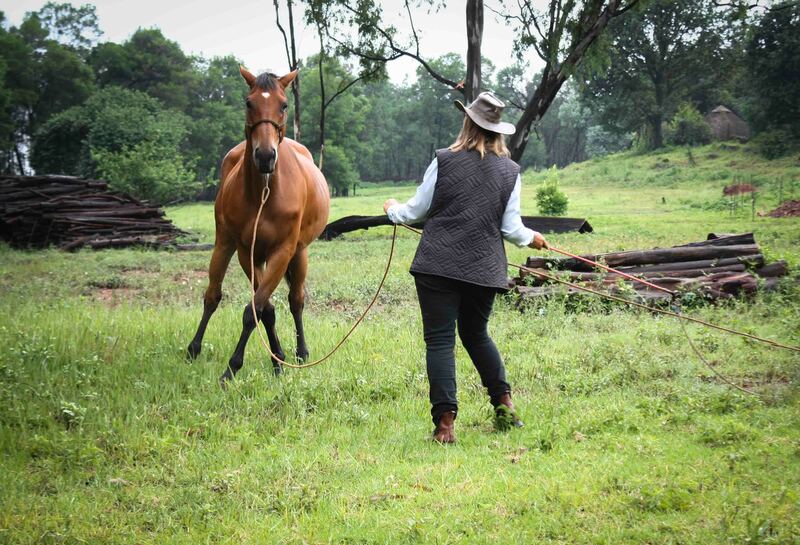 I promise to help you become well-rounded in your savvy both on the ground and riding within my skill set; to prepare you for success at every level – to read your horse. 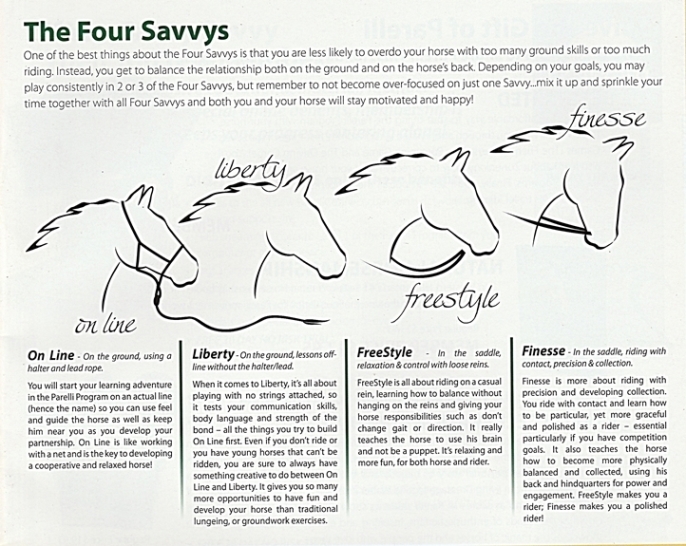 Understand his Horsenality and develop your savvy skills ONLINE, at LIBERTY, in FREESTYLE and FINESSE. 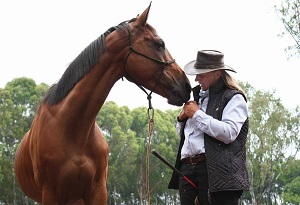 If you like the photo's on this webpage and are interested in using Pierre Vee, please complete the form below and we will forward the message on to him.